Sailboat performance comes from sailboat design. A well-balanced sailboat like the Colgate 26 means you can sail fast without taking risks. Steve Colgate insisted that Colgate 26 weight, length of the boat on the water and overall, the depth of the keel and the weight in that keel, the sail plan and all the standing and running rigging combine to make The Boat For All Reasons the best in its size range on the market. And it is! He even created a second set of Colgate 26 specs that allow comfortable sailing in shallow waters like some areas of the Chesapeake Bay, New Jersey inlets and parts of Florida. At 25’8” overall, the Colgate 26 is a Class 1 vessel, which is subject to fewer US Coast Guard requirements. The Colgate 26 beam is 8’6” which falls within the maximum legal width for highway towing. The Colgate 26 weighs 2,600 pounds; the shoal draft model weighs 2,800 pounds. 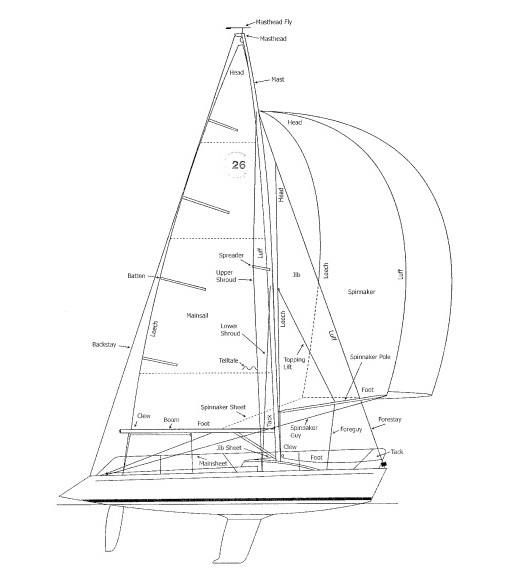 The Colgate 26 standard model draft is 4'6” with 1,050 pounds of lead in the keel; he shoal draft model draft is 3’6” with 1,240 pounds of lead in the keel. Displacement 2600 lbs. 2800 lbs. Ballast 1,050 lbs. 1,250 lbs. Sail Area 338 sq. ft. 338 sq. ft. 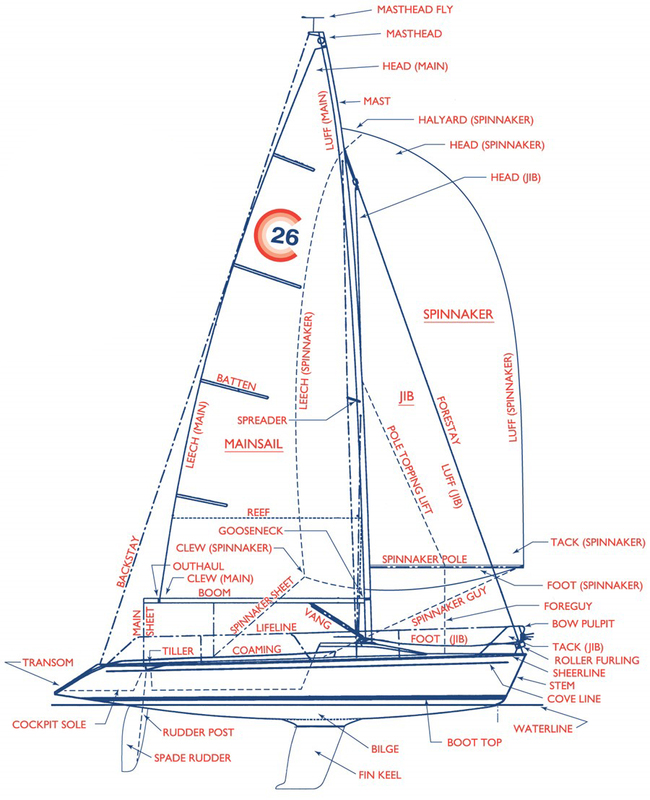 The very efficient Colgate 26 sail plan is the ultimate sail design feature that makes this 26 footer perform so well. Under full sail, the Colgate 26 flies through the water with design features that allow you to tweak and adjust the trim of the sail for ultimate speed and comfort. In heavy air, you can easily reef the main to control excessive heeling – a feature not generally found on boats of this size. When putting the boat to bed, neither the main nor the jib need to be removed after sailing. The jib roller furls and the main slides down for easy slab folding over the boom.